Sole Australian recipient of the Pritzker Prize, Glenn Murcutt, and architect Wendy Lewin have been engaged to design a new “cultural tourism” building for an significant opal field in northern NSW. 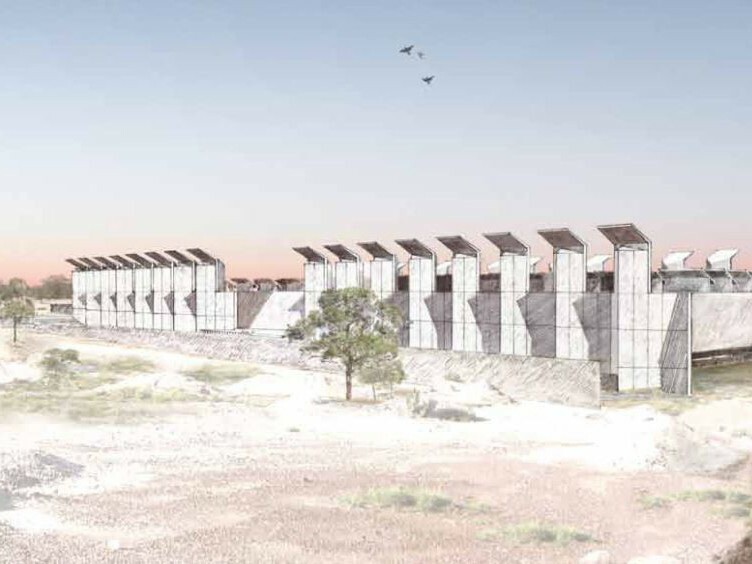 The Australian Opal Centre in Lightning Ridge will accommodate “opal-related education, training, research, science, art, tourism and cultural activities – [it will be] a hub for creativity and learning, economic and cultural development in one of the state’s most economically disadvantaged yet vibrant and culturally diverse regions”. Currently costed at $34 million, the project will be sited within 3.1 hectares of land along the famous 3 Mile opal field at Lightning Ridge. With most of the site preparation and bulk excavation completed in 2013, the project is well underway, yet construction is not scheduled for completion until 2020. “Rather than ‘touching the earth lightly’ – an expression synonymous with Murcutt’s work – it delves deeply, proposing an extraordinary museum embedded [in] a historic opal field,” reads the design statement. Wendy Lewin describes the new tourism and cultural centre as a “tough” building that is highly responsive to its local climate. “The site is off-grid and without any town services. We have designed the building to generate its own power, made provision for the collection, storage and recycling of water, on-site management of waste systems and passive heating and cooling systems. The structure will be ‘in and of’ the site. Being substantially embedded allows us to take advantage of the earth’s thermal mass and we will use some of the excavated material in the off-form concrete structure,” says Lewin.